If you’re a licensed auctioneer, you’ve undoubtably noticed the falling clearance rates across Australia. Agents are starting to get a little nervous about the selling method, which means so are buyers and sellers. However, one method of sale that is bucking this trend and actually gaining momentum across the country is Openn Negotiation, and as its popularity continues to grow, so does the need for licensed auctioneers. Auctioneers are an essential pillar of the real estate industry. Auctioneers will always play an important role in the way Australians exchange property and are essential in facilitating the process to ensure the best and fairest price is achieved. 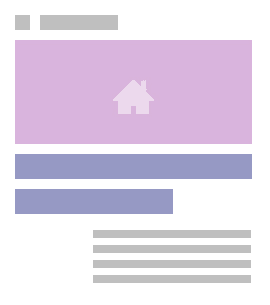 The traditional Auction process is very popular and has gained a good reputation for being an effective method to spur competition to get a property sold. However, the market lately has been cooling, and the media are reporting some very concerning statistics. Recently the Sydney auction clearance rate hit a decade low, according to the Business Insider, and Core Logic showed that the rest of the country was not far off. This downward trend is predicted to continue for months to come, unfortunately, which is leaving agents looking for new ways to sell for their clients. However, the Auction process is not dying. In fact, it’s being reinvigorated, thanks to new real estate technology platforms, and here’s where you can get involved! One such platform is Openn Negotiation, which requires licensed auctioneers to facilitate each sale, and it’s quickly gaining momentum across Australia. Openn Negotiation is changing the face of Real Estate. It’s a revolutionary new method which combines the best aspects of private treaty, auction, expression of interest and end date sale into one fair and open process, where approved buyers compete for the property together. This way, the seller can personally watch the process unfold to reach true value, the buyers can bid confidently without missing an opportunity, and the agent acts as a professional facilitator, championing the exchange. Where does an Auctioneer fit in? By Australian law, an auctioneer is required to sign the paperwork to finalise a successful Openn Negotiation. Regardless of which scenario, an Auctioneer is required. This offers a growing opportunity for you as a real estate professional. Just how successful is the Openn Negotiation method? 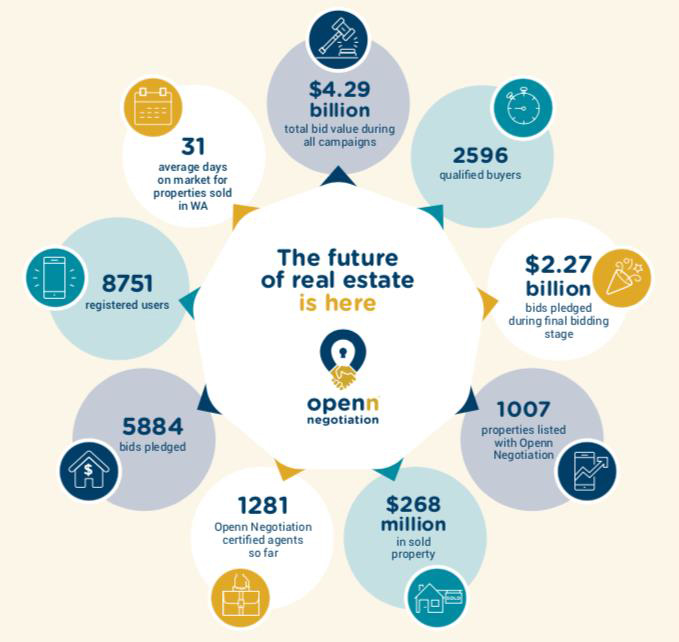 Since launching in 2017, Openn Negotiation has continued to go from strength to strength. Here’s how the platform is tracking to date. As you can see, Openn Negotiation represents a huge opportunity for Auctioneers; one that you just don’t want to miss if you’re serious about what you do. That’s especially true in the current market conditions, where regular auctions are starting to show their weaknesses. Buyers and sellers are looking for a better way, and with Openn Negotiation, you can be a part of this now. To get involved simply register your interest in becoming a certified Openn Negotiation auctioneer and we’ll be in touch.